The Gang Before Fishing Daytona Beach Begins, July 14, .2017. Radcliff waddled along Adventure Yacht Harbor’s boat dock at and looked like a walking hotdog. Strapped around him was an oversized, bulky orange life jacket probably too big for him. In fairness, this is the first time I’ve found and purchased a life jacket for a dog. The hunter-orange nautical gear was snug yet provided him with mobility to walk and jump aboard Capt. 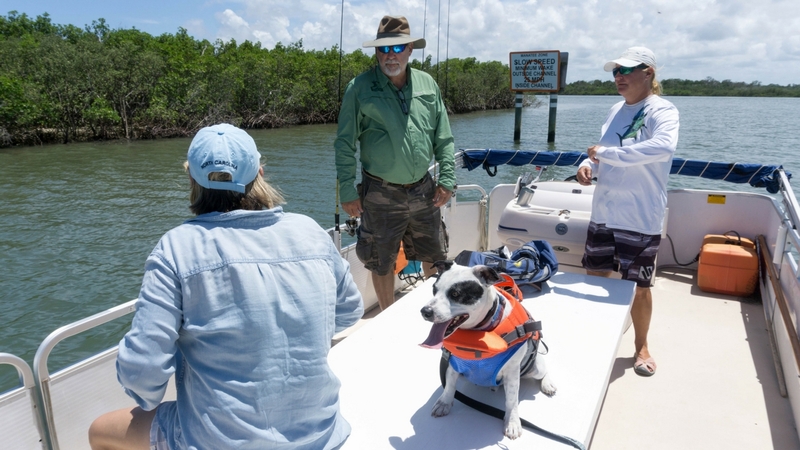 Rachael Reynolds’ boat for a dog-friendly fishing trip in Daytona Beach. Well, specifically in Wilbur by the Sea but really is Port Orange. The boat we used is probably one of the best a dog could go on, he was able to get a great view of everything and we could see him at all times. If you were interested in getting your own boat to go fishing in, (or even take you own dog with you!) then you could check out dual console boats to see if any are suitable for you. When I learned Capt. 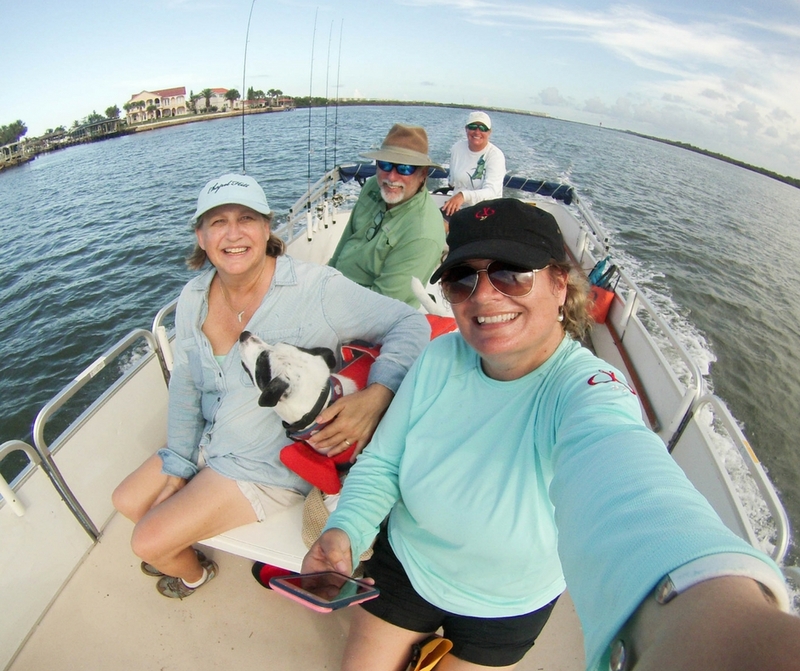 Rachael, of R&R Charters, offered dog-friendly fishing trips, I knew this was something I needed to try so I purchased a gift certificate to fish with her through the Ladies, Let’s Go Fishing! auction and planned a trip to Daytona Beach. 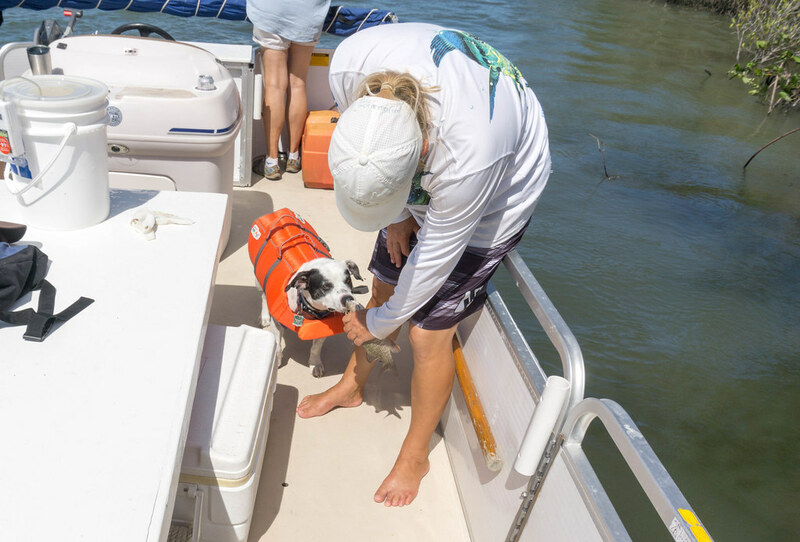 To the best of my knowledge, my rescue dog Radcliff has never fished before, although he has been on a boat one other time, and I thought it would be a fun, different experience. And if he liked it, maybe I’d find other dog-friendly fishing charters. My friends had a great time fishing with Alaska Streamers on their holiday, and after hearing all about it I was itching to get out again – but wanted to bring the pooch along to share in this awesome experience! Fishing with a guide was something I did in my other (married) life. My former husband and I agreed it was a great way to learn the local waters and any location-specific protocols from a local guide. Then we took our boat out the next day to fish on our own. These days, I don’t have a boat and I’m fine fishing with someone else, especially since I still consider myself a novice. There is still something quite magical about fishing at sea, I would love to give cabo sport fishing a try in the future. 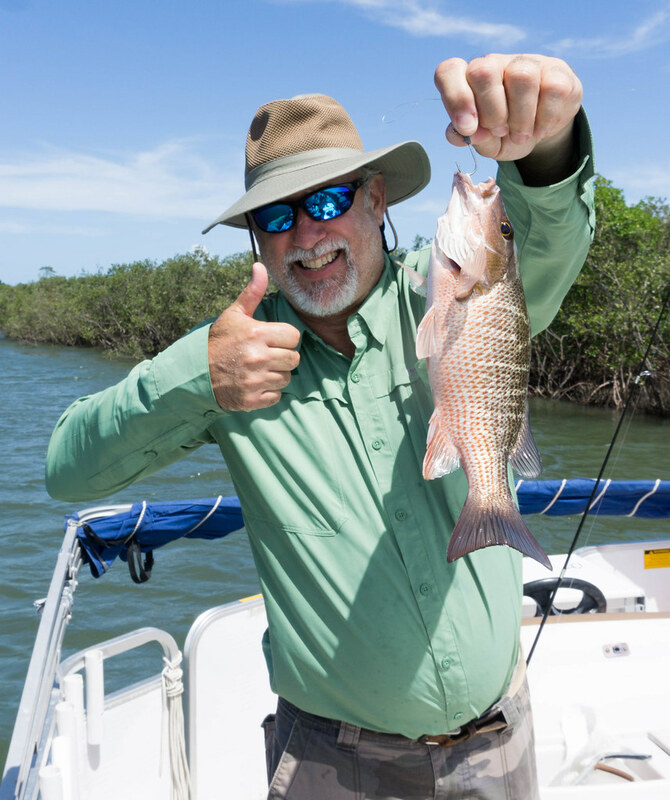 Trying to cast real fancy, I tossed my hook with live shrimp as my bait over the opposite end of the boat and over a mangrove branch, things didn’t go so well. I underestimated the distance and ended up tangling my line in branches. After Capt. Rachael kindly (I’m being real here, she couldn’t yelled or scolded or been condescending but she wasn’t) set my line free, I cast it back in what I thought was a branch-free zone in the water. As Barbara was reeling in a snapper, I brought my line in which felt a little heavy and bouncy. As I suspected, I was pulling in a small tree branch with my line wrapped around it. As I wondered, “how the heck did I make that happen?,” Capt. Rachael said I did have a snapper on my line. It was a mangrove snapper and apparently, that’s one of their things. When hooked, when possible, they will get caught up in mangrove roots or rogue branches with hopes of breaking off and swimming on their merry way. Unfortunately for this fish, he was brought into the boat. Unfortunately for me, he was too small to keep so he was tossed. 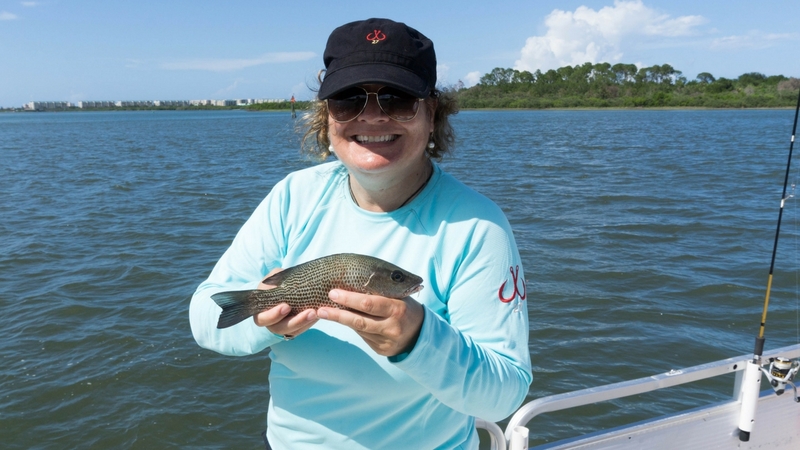 That’s Me with One of the Mangrove Snappers I Caught with Capt. Rachael Reynolds, R&R Charters, Daytona Beach, Fla., July 14, 2017. This was my first time fishing from a pontoon boat and think it worked out well. It was stable and spacious, perfect for up to six anglers (and as many dogs as you can bring on.). 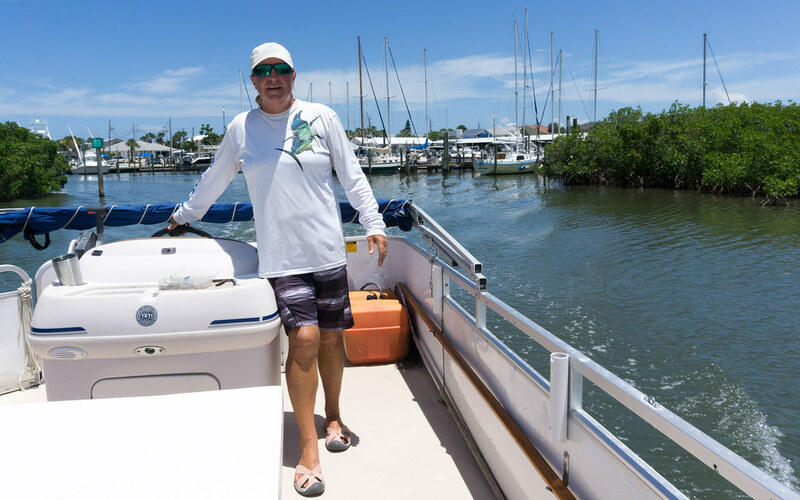 The pontoon is also ideal for those who tend to get seasick because it’s more stable than a traditional fishing boat and spacious for a wheelchair. Back at the dock, Capt. Rachael filleted our catch and although Ken hauled in the most fish, Barbara and I left with bags of fresh mangrove snapper. See my recipe for Blackened Mangrove Snapper Tacos with Mango Pico De Gallo. As for Capt. Rachael, in addition to being a dog-friendly fishing charter, the appeal to fish with her is that she is a woman, which in theory, she is not as intimidating to fish with. 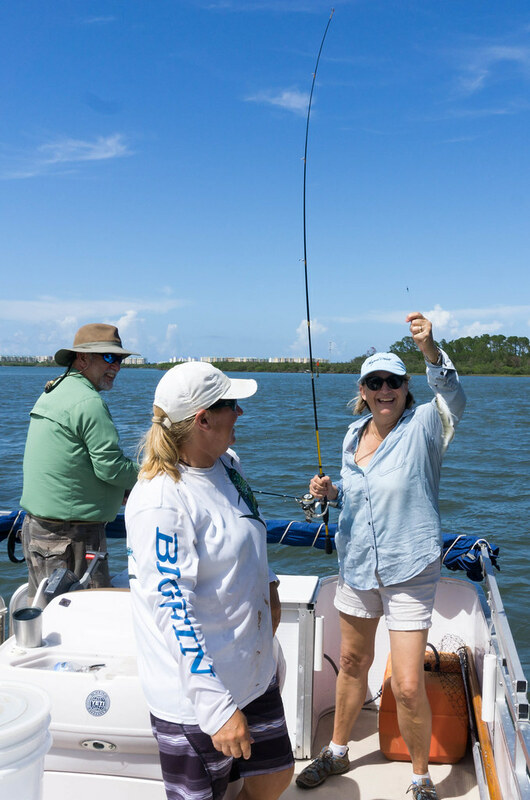 She has years of boating and fishing experience in Massachusetts and Fort Lauderdale and even ran a private yacht for about four years before anchoring in Port Orange which is a stone’s throw from Daytona Beach. Where I live on Florida’s Southwest Gulf Coast, I don’t know many female fishing guides and so I asked her if there are very many in the Daytona Beach area. 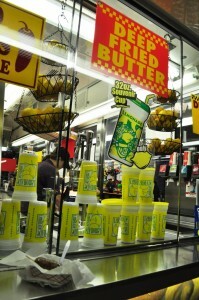 “There’s not that many and I haven’t come across that many,” she said. Happy Faces Following a Great Afternoon Fishing with Capt. Rachael Reynolds of R&R Charters, Daytona Beach, Fla., July 14, 2017. “Part of what I’m going for is to get every type of person out there from a 4 to 5-year-old kid who has never fished before to someone 80 years old in a wheelchair,” she said. Connect with Capt. Rachael Reynolds on Facebook.com/RandRcharterfishing and book a Daytona Beach fishing trip with her via text/cell at (386) 316-8614. Located at Adventure Yacht Harbor, where Capt. Rachel departs, is Boondocks Restaurant with a pup-friendly patio. It’s a great place to grab a grouper sandwich (or something else calling your name) for lunch or dinner. For additional information on what to see and do while in and around the area, visit the Daytona Beach website. Radcliff is wondering when we’ll go fishing again. 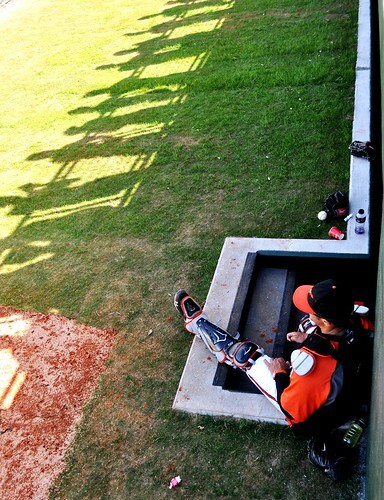 Time will tell but I hope sooner than later. Note: My hat and shirt is from Montauck Tackle Co. which makes practical yet fashionable fishing clothing for female anglers. Disclosure: This post contains affiliate links to support my traveling habit, this blog and my special-needs dog.